The LeMat revolver is discussed in this edition of Men and Materiel. This typically .44 caliber pistol had nine cylinders and also packed the added punch of a “.63 caliber buckshot barrel slung underneath the main barrel.” P. G. T. Beauregard was instrumental in getting the gun an official military trial in the late 1850’s in New Orleans. Beauregard and the gun’s maker, French physician A. F. LeMat, formed A. LeMat & Co. in order to manufacture and sell the weapon. This partnership didn’t last too long, as Beauregard soon sold out to LeMat and another gentlemen. The LeMat never became a popular weapon for the Confederacy, due to its heavy weight and the fact that it was manufactured in Europe and had to run the blockade. 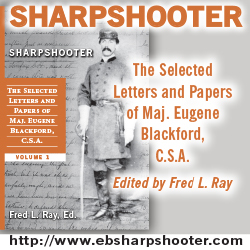 Fred Ray covers Berry Benson, a sharpshooter in McGowan’s Brigade of the Army of Northern Virginia, in this edition of Personality. Benson fought in quite a few of the Army of Northern Virginia’s early war battles as a member of the 1st South Carolina. In 1864, he volunteered to join the new sharpshooter battalion then forming in McGowan’s Brigade. In this role as a scout, Benson was captured on May 16, 1864 during the Battles for Spotsylvania. He narrowly avoided being executed for spying, and was sent to Point Lookout, Maryland. After Benson tried to escape, he was sent to Elmira, New York, the “Andersonville of the North.” While there, he and 9 others escaped and successfully evaded capture, with only Benson heading south for the Confederacy. Benson rejoined his unit in January 1865 near Petersburg, and was present at the surrender of the Army of Northern Virginia at Appomattox, though stories differ on whether or not Benson and his brother managed to leave with their guns. After the war Benson became an accountant and made some money on an error detection method he created. Later, Benson became involved in theosophy and became a vegetarian and animal rights activist. He also “became [a writer] of some renown.” Benson is memorialized today as the model for a statue that still stands in Augusta, Georgia. Captain William Ballard Bruce of Halifax, County, Virginia is this issue’s “Eyewitness to War.” In several letters to his father in the summer of 1861, Bruce describes the role of the 20th Virginia in the fighting at Rich Mountain, located in present day West Virginia. In addition, Ballard defends himself from accusations at home that he is a strict disciplinarian for his company, claiming that this discipline was the only thing that kept his company together in the confused retreat from Rich Mountain. Lt. Colonel John Dunn Musser assumed command of the 143rd Pennsylvania in the middle of their first fight, which happened to occur on the first day of the Battle of Gettysburg. Musser wrote two letters after the war discussing the performance of his unit on all three days of the battle. On day 1, his regiment and the rest of the Bucktail Brigade had been placed along the Chambersburg Pike facing mostly north. After beating off attacks from the north and the west for several hours, the brigade was forced to retreat. Musser kept his men together in a relatively orderly withdrawal and managed to save the Napoleons of a Union battery, but his command lost 230 of 465 men engaged. On the second day the regiment supported Battery C of the 1st West Virginia Artillery, and they were moved to their left near the end of the Confederate assaults that day. On July 3, the men of the 143rd Pennsylvania were simply spectators to Pickett’s Charge. Musser wrote these letters in the fall and winter of 1863, and was himself killed at the Battle of the Wilderness on May 6, 1864. He left his daughter Ellie behind as an orphan. 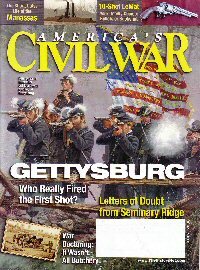 There are many “first shot” claims during the Civil War, but a “first shot” claim at Gettysburg is especially interesting, given the way many future historians have called the battle a turning point in the war. Author J. D. Petruzzi takes a look at several of these competing claims, and it appears only two men have even decent claims to the that first shot. The author believes Marcellus Jones, then a second lieutenant with the 8th Illinois Cavalry, has by far the best claim. First, Jones’ regiment was picketing the Cashtown Pike, down which the Confederates advanced earliest. Second, Corporal Alpheus Hodges, the second man with a claim, belonged to the 9th New York Cavalry. His men were posted to the northeast picketing the Newville and Mummasburg roads. Petruzzi does not believe Hodges could have fired at any men from Heth’s Division, which advanced only along the Cashtown Pike. He surmises that perhaps the men fired at were some stragglers from Early’s Division, which had passed through Gettysburg headed north several days earlier, or possibly members of Elijah White’s 35th Battalion Virginia Cavalry, then assigned to Ewell’s Second Corps. Private Freeman P. Whitney of the 17th Pennsylvania Cavalry also made a claim, but the author says the man was never taken seriously. In the end, Jones created a monument and placed it on private ground along the Cashtown Pike, and both the 8th Illinois and 9th New York erected markers claiming the first shot. Although there apparently has never been an “official” determination by the Gettysburg National Military Park, Petruzzi seems confident that Jones was the man. In an included small article, the author discusses Thomas Benton Kelly, a first cousin of Marcellus Jones who as a member of the 8th Illinois Cavalry was also present for the first shot. Improvements in Union hospitals and medical care throughout the war are discussed in an excerpt from Bleeding Blue and Gray by Ira Rutkow. The author first discusses the reforms of Surgeon General William Hammond, who created Satterlee Hospital in West Philadelphia. Satterlee served as a model for future Union hospital designs, and Hammond wrote a treatise on the proper construction and maintenance of these hospitals, with an emphasis on open air and space for each patient. Later improvements included a directory of patients in the hospital system so relatives could easily find recovering soldiers. Hospitals came to be seen as respectable places to go to recover from injuries rather than a place for lunatics or terminal cases. Dorothea Dix was instrumental in organizing “an Army nursing corps comprising female volunteers” as well. Hannah Ropes, one of these nurses who also happened to have political connections, did a lot of good in terms of making sure the hospitals were free of corruption. The CSS Manassas and her role in the defense of New Orleans is the subject of this article by R. Thomas Campbell. Launched in September 1861 and named for the victory at First Manassas earlier that summer, the Manassas was initially proposed by John A. Stevenson, secretary of the New Orleans Pilots’ Benevolent Association. Stevenson hoped to use the ironclad as a privateer, but the Confederate States Navy had different plans. They commandeered the boat one day in late September 1861, and the Manassas joined Captain George C. Hollins’ “Mosquito Fleet” of makeshift warships, including the tug Ivy (1 Whitworth Rifle), the sidewheel steamer Tuscarora (2 guns), and the sidewheel steamer Calhoun (5 guns). This fleet was determined to drive away a small force of four Union vessels then guarding the Head of the Passes, effectively blockading New Orleans. This force was commanded by Captain John Pope and consisted of the Richmond (22 guns), the Preble (10 guns), the Water Witch (4 guns), and the Vincennes (20 guns). Early on the morning of October 13, 1861, Hollins and his ships, led by Manassas, attacked the Union squadron. The Manassas managed to ram the Richmond, ripping a hole in her side, and at this point confusion reigned. The Northern ships fled down the Southwest Pass, with several ships running aground. The result was called “Pope’s Run” by the Northern press, but the blockade was still on, with the Union Navy now having to cover all three passes into the Gulf of Mexico instead of the bottleneck at the Head of the Passes. Hollins left with his ships to head up the Mississippi to Columbus, Kentucky, on the far end of the Confederates’ defense of the river, leaving only the Manassas near the city. The Mississippi and the Louisiana, two new ironclads, were not finished in time for the next attack. Mississippi was burned and Louisiana acted as a floating battery when that attack came. Admiral David Farragut led this assault on April 18, 1862. In addition to Manassas, there were several other ships and six small steamboats acting as rams. After much hard fighting and after ramming both the USS Mississippi and the USS Brooklyn, the Manassas was finally run aground and the crew fled into the swamp. The Federals set fire to the ship and also started firing into it at close range. The ironclad ram finally blew up and sank in the middle of the river after daybreak, and her defense of New Orleans was at an end. The 6th Kentucky Volunteer Infantry (Union) is the subject of this edition of Commands. The regiment was a polyglot unit consisting of Germans and other foreigners in at least 4 companies, with mostly native born Kentuckians in the others. Colonel Walter C. Whitaker, the regiment’s first Colonel, was a slave owner and former state senator. The 6th Kentucky was a part of Hazen’s Brigade in the Army of the Ohio (later the Cumberland) until Hazen was promoted in mid August 1864. The battles of the 6th Kentucky include Shiloh (its baptism of fire), the siege of Corinth, Murfreesboro, Chickamauga, Chattanooga, Rocky Face Ridge, Rescue, Pickett’s Mill, and Knees Mountain. Despite initial problems between the German born troops and the native Kentuckians, says Reinhart, this regiment compiled an impressive combat record. Out of 937 total men, almost half were wounded, 95 were killed in combat, and 82 died of disease. Kim O’Connell takes a look at efforts to restore Civil War sites in New Orleans that were adversely affected by Hurricanes Katrina and Rita. Fort Jackson was referred to as “a soup bowl” by the Civil War Preservation Trust. Fort Pike was also damaged, but the status of the privately owned Ft. St. Philip is not known at this time. The author also discusses Mettaire Cemetery, Jackson Square, and Confederate Memorial Hall. 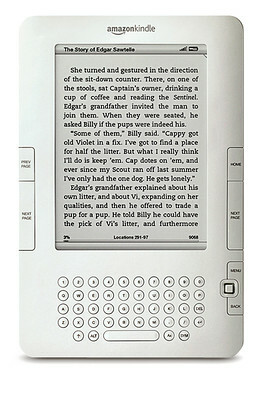 Readers are asked to visit www.civilwar.org and www.confederatemuseum.com for more information.